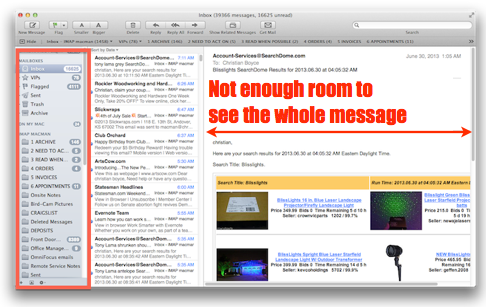 If you’re a Mac user you’re probably using Apple’s Mail program for email. 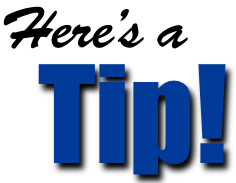 Here are some of my favorite Mail tips and shortcuts. 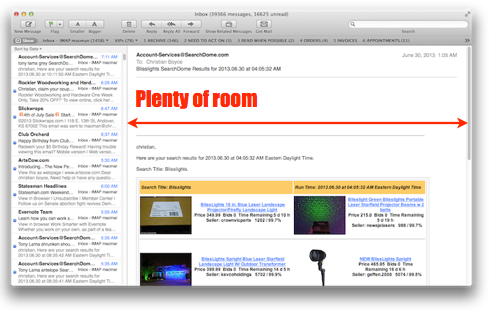 … and back, using Command-Shift-M. Show the Mailbox list when you need it, hide it when you don’t. Choose “Icon and Text,” leading to a Mail toolbar with labeled buttons, and larger targets (you can click the labels as well as the buttons). (If it’s not showing, look for it in the View menu). Show the Mailbox list (Tip 1) and then drag your key mailboxes (folders) to the Favorites bar. Once you’ve done this you’ll hardly ever have to show the Mailbox list, because you can switch mailboxes by clicking a button in the Favorites bar, and you can file messages by dragging them to buttons in the Favorites bar. Works great, but hardly anyone uses it. Everyone should. There are plenty of other Mail-related tips but these are my favorites because they save me time and trouble every day. If you have a question about Mail on the Mac please send me a note. And, as always, if you think this will help someone else please pass it along. There’s a “Share” button at the bottom of this post. Your friends will thank you and so will I.